Unconventional burial practices to prevent vampires from rising up from the grave were common in post-medieval Poland, but historians aren't entirely sure why certain people were targeted more than others. A new study is the first to perform a chemical analysis of the remains to find out. These deviant burials, or apotropaic funerary rites, occurred throughout the 17th and 18th centuries, and were performed to prevent evil from taking root among the dead. Those who were considered at risk of becoming vampires — for whatever reason — were given specific burial treatments, such as sickles across the bodies or large rocks under the chins. One theory is that suspected vampires were outsiders to the community. But as the new study suggests, these vampires-in-waiting were most likely from the local community and well known. To prove this, the remains of six apotropaic burials were compared against 60 normal ones. A research team led by Lesley Gregoricka from University of South Alabama used radiogenic strontium isotope ratios from archaeological dental enamel. The results of this biogeochemical analysis were then compared to strontium isotopes of local animals. The researchers found that the suspected vampires were predominantly local. The finding suggests that those targeted as vampires were not likely migrants to the region, but rather, local individuals whose social identity or cause of death likely marked them with suspicion in some other way. It's possible that the cholera epidemic had something to do with it. The first person to die from an infectious disease outbreak was presumed more likely to return from the dead as a vampire. "People of the post-medieval period did not understand how disease was spread, and rather than a scientific explanation for these epidemics, cholera and the deaths that resulted from it were explained by the supernatural — in this case, vampires," noted Gregoricka in a statement. 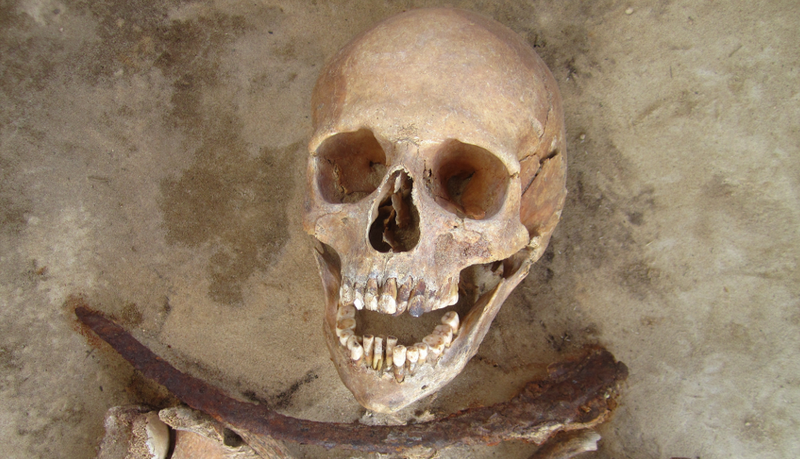 Read the entire study at PLoS One: "Apotropaic Practices and the Undead: A Biogeochemical Assessment of Deviant Burials in Post-Medieval Poland".